A mosaic style resume that reflects your portrait in the best light ! An amazing color, which we validate without moderation. What trigger a stroke of heart ! 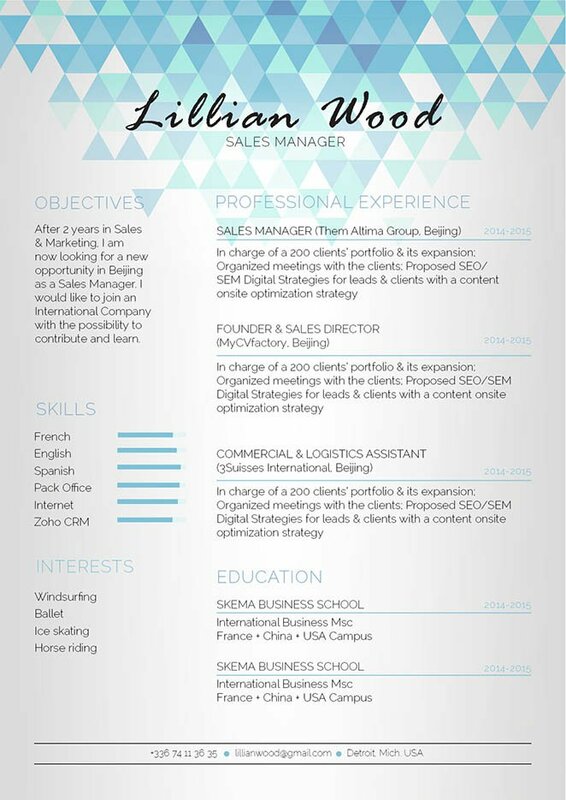 CV template to download "Malin"
The Malin Resume gives you a clean and simple resume lay out that is sure to impress your potential employer! 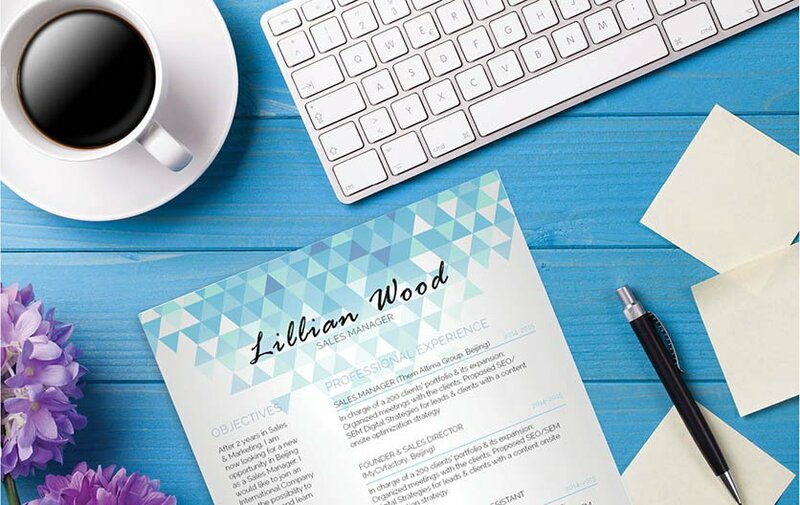 This modern resume template uses a perfect selection of colors, texts, and styles that make for a layout that is applicable to any job type, and is an excellent match for applicants who have solid work and educational background. Simple and elegant, what more do you want from a CV? Stay positive! —Above all in your interview and resume, you must maintain a positive picture of yourself. Leave out any irrelevant or negative points in your CV, if you think the date of your graduation subjects you to age discrimination, then keep it out. If there are tasks in your past job that are not relevant to your current job search objective, don’t include. Do include the tasks and duties you’ve done that are relevant to your present job objectives. And lastly, don’t include unnecessary bits of information such as your height, weight, or race.